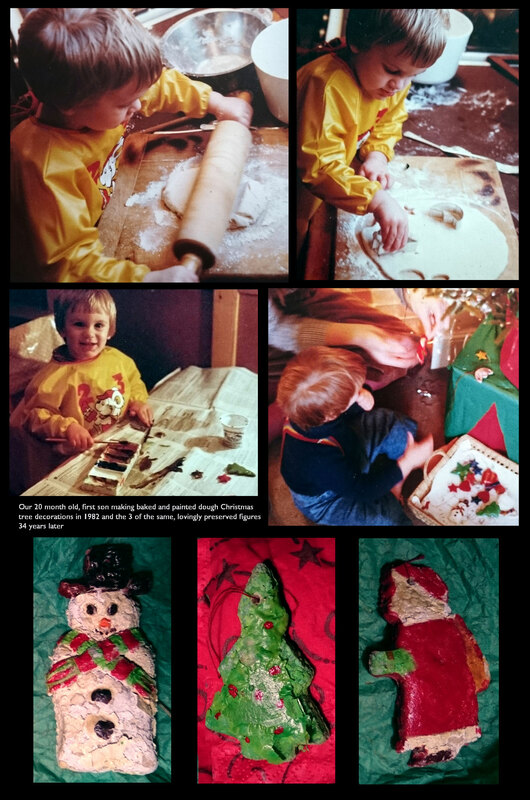 When our boys were little, but old enough to get the sense of what Christmas was about, much of the pleasure of December was enjoying their anticipation of this seasonal brilliance, and part of that included making Christmassy stuff – like baked dough tree decorations; oh, fond memories, even of the sticky and painty mess! 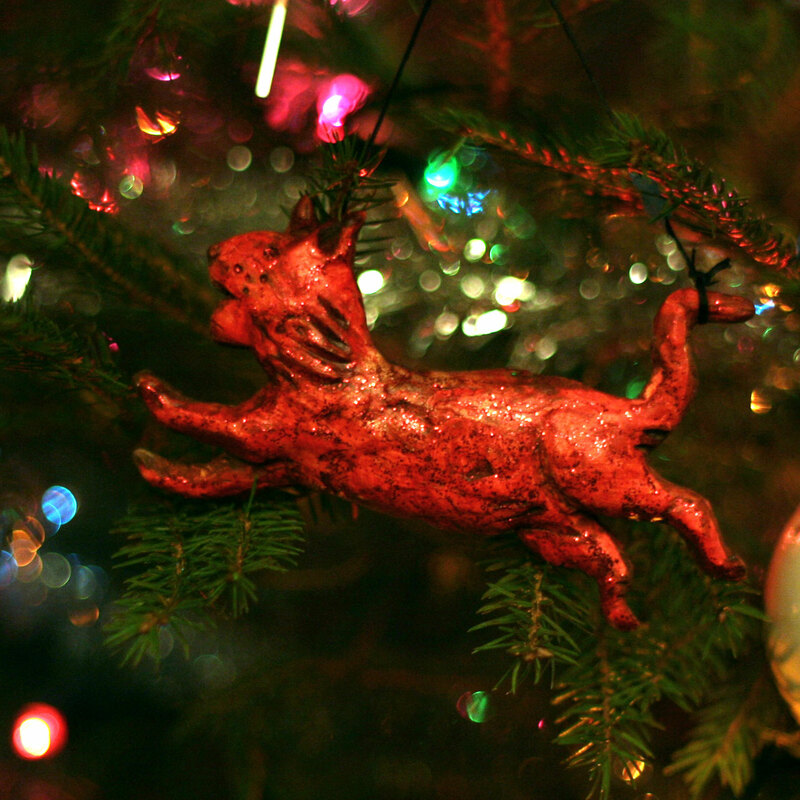 Another home-made decoration – this is Christmas Kitty. My partner made four or five of these a few years ago – one for us and others as presents for friends. Sadly one of the recipients, Lindy, a complete cat addict, is no longer with us, so this festive feline also carries a twinge of sadness but is a sparkling reminder of an old friend. She was also a wonderful artist, you can see more about her here. A more recent arrival on the Christmas tree is this intriguing bundle, It was given to us by my younger son’s Austrian girlfriend who has spent a couple of Christmases with us. 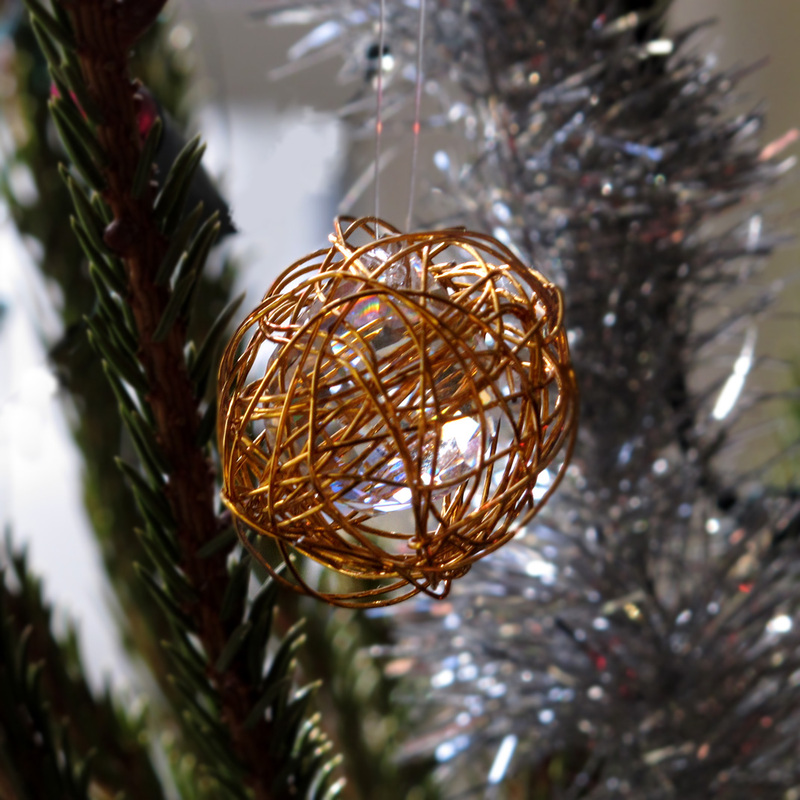 It’s a crystal sphere so not entirely home made but the wire covering was her imaginative idea. 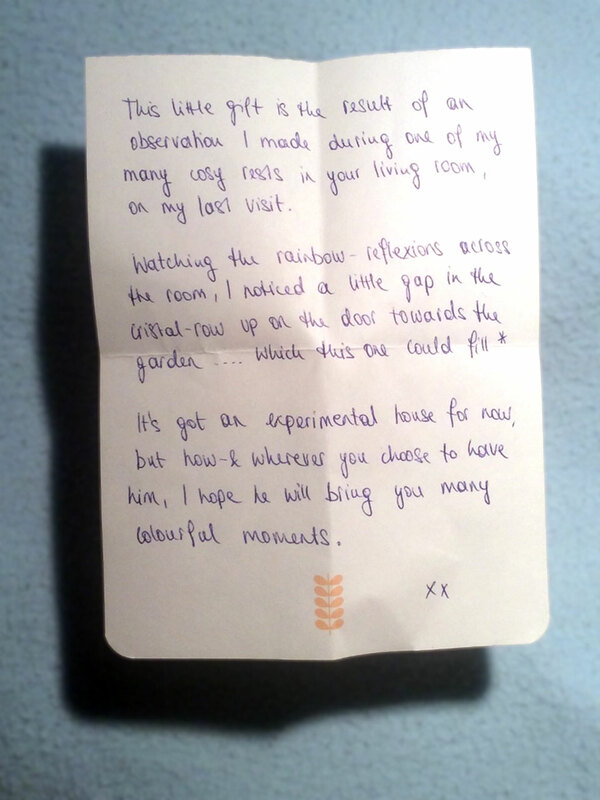 It wasn’t for the tree specifically but intended to fill a gap she’d observed in a window above the French doors in our living room where we have a number of prisms and other light-scattering objects that catch and split the sunlight. Such a thoughtful gift but as it arrived at Christmas it comes down each year to adorn the tree. This entry was posted in Story, Twelfth Night Tales. Bookmark the permalink. ← Twelfth Night Tales – a preview.